Medi+Vend allow registered users the opportunity to receive sexual health advice and also resources at the touch of a screen. 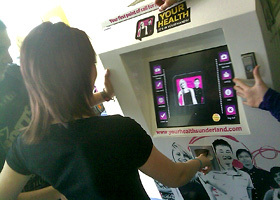 The interactive kiosk is designed by clinicians to offer easy access to health care advice and provisions. The touch screen panel and vending machine is capable of dispensing all sorts of health care products, including condoms, chlamydia tests and pregnancy tests. It’s also a go to point for information regarding health advice, promotion and offers users the chance to access a signpost of the services in their immediate area. Sexual health and confidentiality are two things that tend to go hand in hand. People don’t often feel comfortable talking about sexual issues and this can lead to anything from awkwardness and embarrassment and often a failure to get tested. Kiosks allow people the opportunity to confidentially access information, STI tests, pregnancy tests and condoms without the need to discuss the problem with anyone. Users can self-assess the issue with the tests and information provided and then makes an informed decision on whether they wish to follow up the matter with a clinician. The fact the Medi+Vend is readily available, easy to use and provides the necessary information and dispenses tests and condoms makes it an easy and intimate go-to source for something people tend to feel awkward about. It’s a fast, easy to use and confidential system that has so far benefitted thousands. 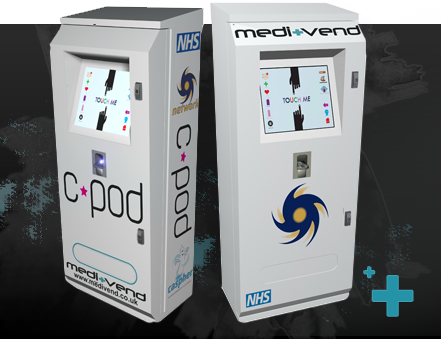 We keep our Medi-Vend location list up-to-date as we install in new areas.